This delicate and feminine design to celebrate the birth of a girl is in a circle symbolizing Eternity and Perfection. 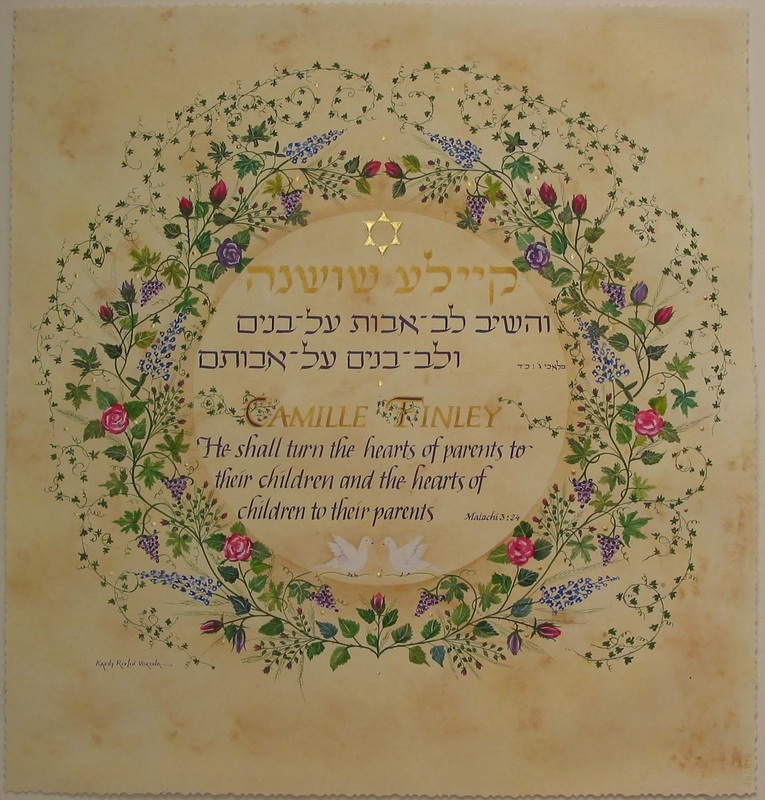 Here a Biblical quotation in Hebrew and English is written in purple on the artist's "parchment" background. Details: 23K Gold Leaf Star of David and the two Doves of Peace at the lower part of the artwork.